I like Scotland, in fact I'd be happy to spend a lot more time up there, but I've never tried their 'national dish' of Haggis. When we were contacted to see if we wanted to try some I was not that enthused, until I realised they had a vegetarian version. We accepted! The parcel contained all sorts of goodies, a recipe book and a canvas bag - along with three edible things, one vegetarian and two decidedly less so. Today we will look at the entry level vegetarian haggis. It's got oats and sunflower seeds and pumpkin seeds so is not that scary to eat. 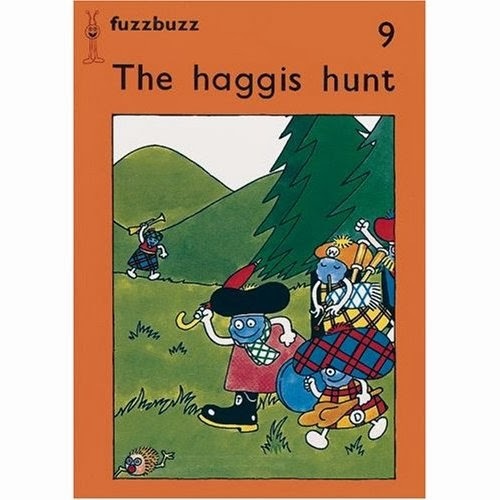 This is a far cry from the pictures of haggis as a small odd creature that I have from my English childhood! They look like very friable burgers and the suggested cooking method is to basically use a microwave to steam them within their own packaging. Simple and convenient. Here is a 7 second video that shows the cooking process and the haggis itself! As you can see we decided that haggis and chips was probably authentic enough for us. Both myself and my vegetarian partner were still a little apprehensive about the whole thing, but it turns out veggie haggis is really nice. It's essentially similar to a crumbly, but filling veggie burger. There are a lot of different flavours hiding in there and a distinct tanginess that I couldn't place. It reminded me of lentil based foods where they are compacted together and full of lovely surprises, like the seeds in this. We are definitely eating this one again! The remaining two items in the parcel were meat haggis and blood pudding. Traditional meat haggis is decidedly not suitable for vegetarians but after the fun experience that was the veggie haggis I think I'm going to move on to the advanced version and take it to work to share with my colleagues. I will report back once I've plucked up the courage to eat it! 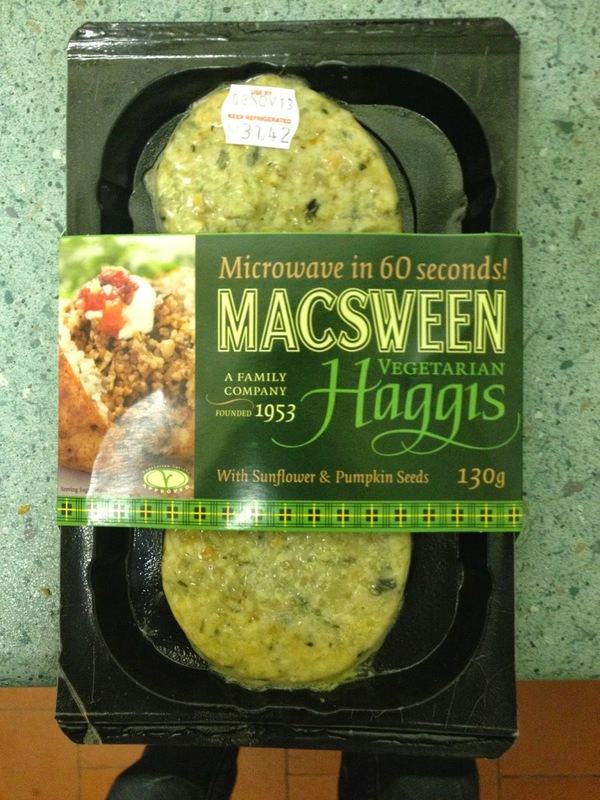 MacSween's is definitely the best brand of vegetarian haggis out there. I'd recommend serving it with a little bit of beetroot as a starter, or with neeps (mashed swede/turnip) and tatties (mashed potato) as a main meal. Don't eat too much of it at once or you'll get a bit 'windy'.